PS- This skirt is $9. You probably need one. 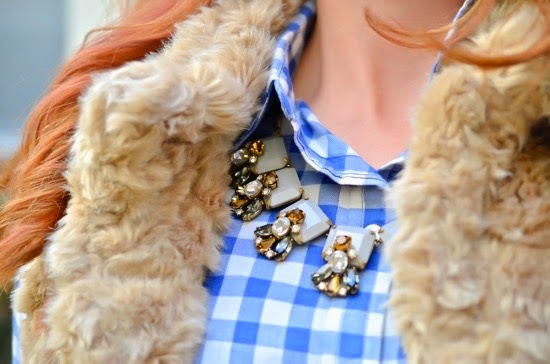 I love how you paired everything! It's so cute! I love that bag! It's really fun and unique. I love the length of that skirt too. Good idea getting in in tall to add a few inches. It's a really classic look now. 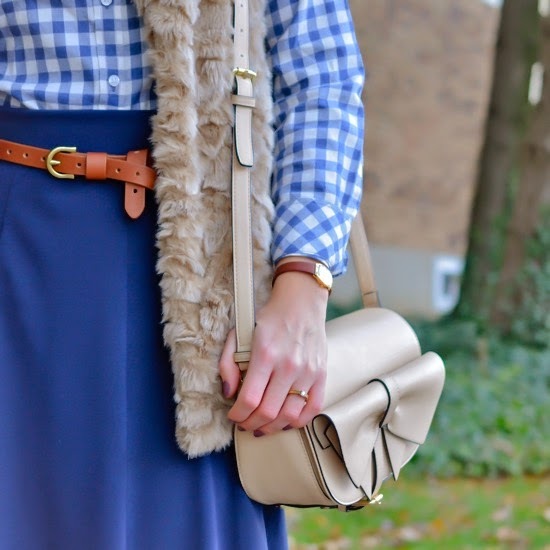 Love the vest with the skirt - I haven't seen that combo before! You look beautiful! 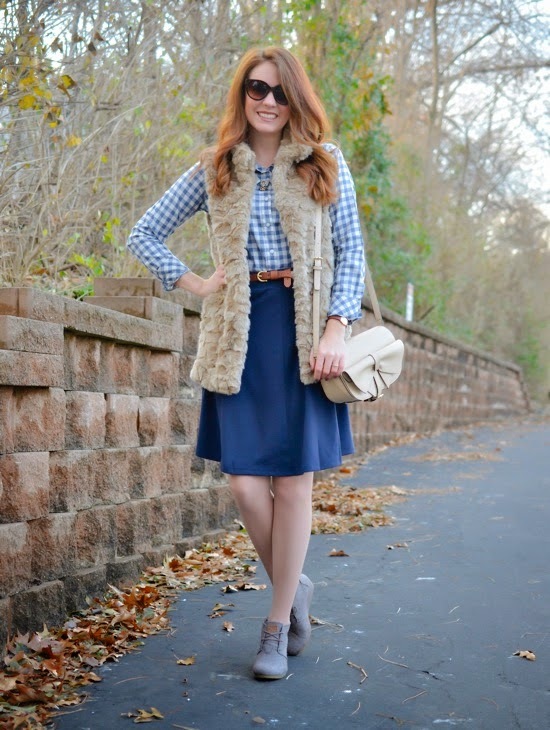 I love your vest, and your blog is so cute! ok you are just to cute! i loved looking around at some of your post. great style looking forward to seeing more! You are ROCKIN that flannel, girl! Love it! Great colors on you!